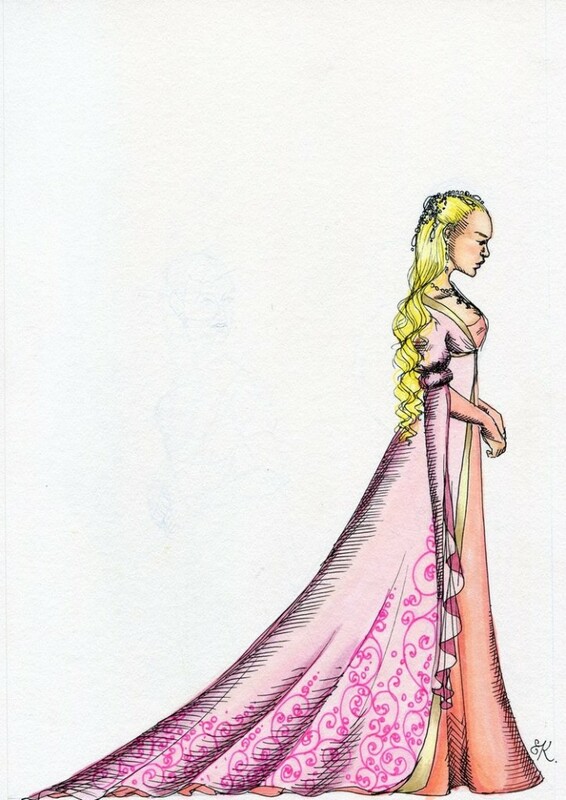 Today’s Fan-art is another one by Kitty-Grimm and it’s of Fleur de Lys, Phoebus’ Fiancee. I think it quite a pretty rendering, I like the pose, I like how her face look cold and hard but everything else about her looks soft and gentle. I also really like the swirls pattern.